Wagoner’s K.J. 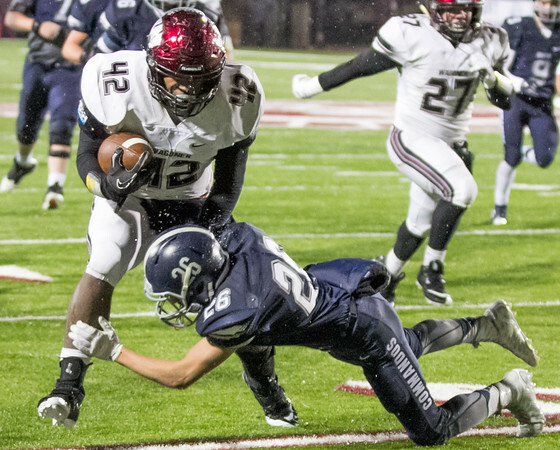 Lee, left, gets away from Cascia Hall’s Dalton Turner during Friday’s Class 4A semifinal at Jenks. The Bulldogs won 54-20 and will face Oologah in the championship next week, a rematch of the 2014 game won by Wagoner 45-21.